Articles like these are a constant source of motivation for me. At Murray Chiropractic we are not an alternative form of care/therapy… our techniques are the definitive first option for Spinal Stenosis, Disc Herniation and associated radicular pain pain. 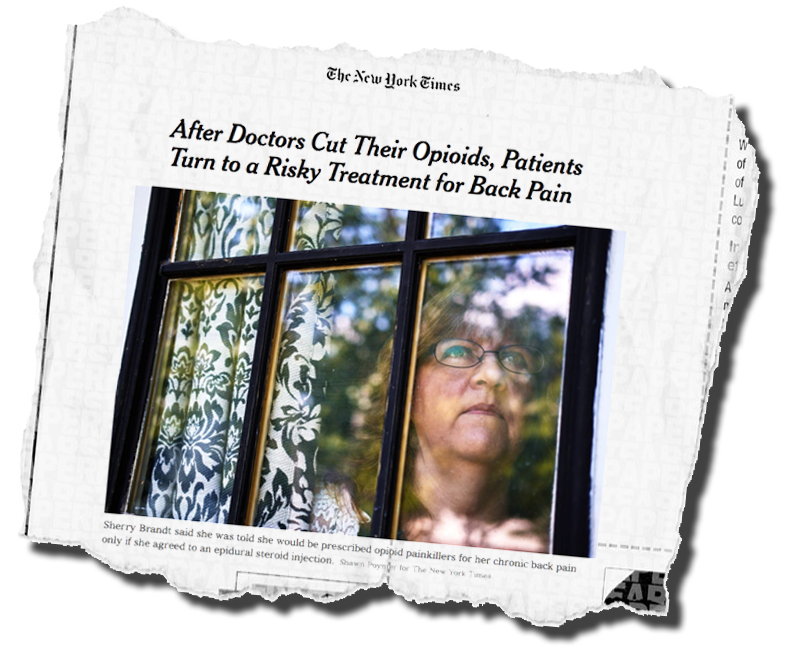 As you can see from the article, the FDA is not looking out for your best interest… Murray Chiropractic’s purpose is improving the quality of life of every one of our patients. Call today for more information!